If you think that eating nutritious food with less salt means sacrificing taste, think again! 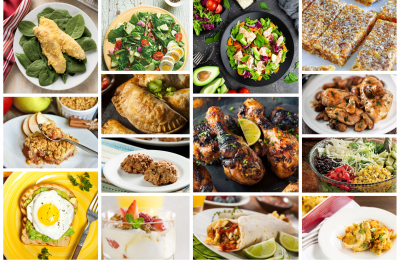 Healthy, home-cooked meals, made with quality ingredients, are packed with vibrant flavors. Whether you’re new to cooking or you’re an experienced chef looking to reduce the salt in your meals, these easy tips will help you make healthy meals even more delicious. 1. Add acids: Citrus fruits, such as lemons and limes, and vinegars play an important role in healthy cooking. Acids act a little like salt in that they help bring out the natural brightness of foods and work to meld flavors together. Try making a quick salad dressing with lemon juice and zest or red wine vinegar with a smidge of oil—or toss veggies and grains with citrus or vinegar to brighten them up. With this added pop of flavor, you’ll think it’s summer all year long! 2. 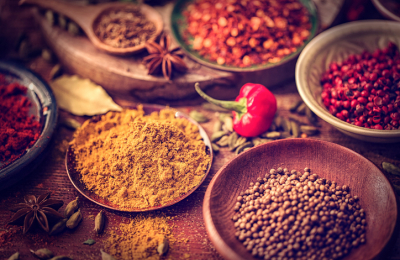 Spice everything nice: Spices are a great way to add flavor and character to a dish without adding calories, fat, and salt. Spices can add a unique flavor profile to any dish—a simple chicken breast becomes Tex-Mex chicken when you add cumin and chili powder, Jamaican chicken with a little cayenne, cinnamon, and allspice, or Morrocan chicken with some ginger and coriander. Check out this article on DIY spice blends to learn how to create your own multi-use spice mixes! 3. 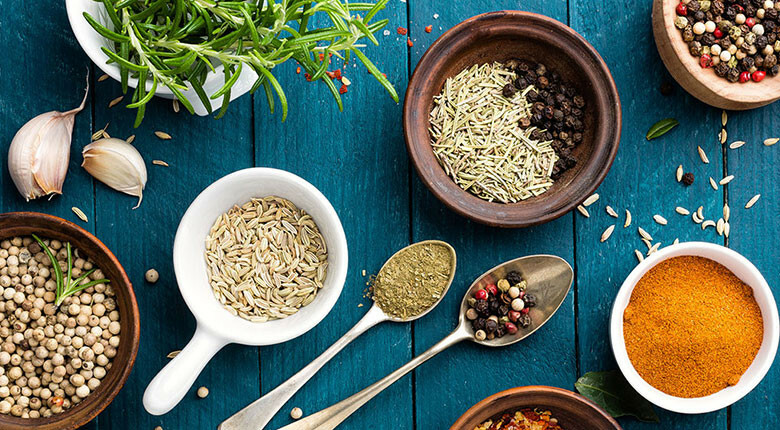 Cooking with spices: While herbs can be used fresh or dried, spices tend to be dried and jarred, enabling you to build a diverse collection over time. While dried herbs and spices don’t “expire”, per se, they start to lose their flavor after about 6 months. Be sure to date your spice jars and replace them every 6–12 months for maximum flavor. 4. Adding flavor on a budget: Jarred herbs and spices can be pricey! Check the international foods aisle for cheaper (and smaller) packages of some common spices. Or find a local store that sells herbs and spices in bulk—they are typically MUCH cheaper, and you can buy just what you need! 5. Herb it up: Nothings brings a little extra life and flavor to a meal or dish like some fresh herbs (not to mention some powerful nutritional benefits from vitamins, minerals, and antioxidants! ), without adding any extra fat, calories, or salt. Next time you harvest or buy fresh herbs (such as basil, cilantro, rosemary, or thyme), give them a good chop and mix them with a little oil. Add some of the herb infused oil to veggies or meats before grilling and store the rest in ice-cube trays in the freezer so you have ready-to-use marinade or seasoning oil on hand all winter long! Try this recipe for Everyday Herb Oil! Dried herbs are more potent than fresh herbs. If you are subbing dried herbs for fresh in a recipe, use 1 teaspoon for every tablespoon of fresh herb (and vice versa). 6. Cooking with herbs: You can usually use either dried or fresh herbs in a recipe. Dried herbs are more potent than fresh—use 1 teaspoon of dried herb for every tablespoon of fresh (and vice versa). If you are cooking with dried herbs, add them to the dish earlier in the cooking process so they have time to release their flavor. For fresh herbs, add toward the end of cooking process. Herbed salad greens: toss sprigs of parsley, basil, dill, or rosemary into a salad to add some extra pizzazz. Herbed ice cubes: when freezing ice cubes, add mint or basil leaves to freshen an ordinary glass of water or iced tea. Fresh herb pizza: Whether you make your pizza from scratch or buy it, there’s always room to add a few fresh leaves of basil, rosemary, or oregano to the top before you stick it in the oven. Fresh herbs and tea: Add a few leaves of sage or spearmint in with your favorite varieties of tea to spice them up a little! Find more tips for creating fresh, flavorful, and nourishing meals in my cookbook, Whole Cooking and Nutrition! Warm weather is a great time to move the meal outdoors. 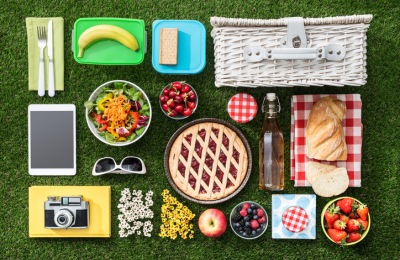 But as you pack your basket and plan for a healthy, diabetes-friendly meal in the open air, there are some tips and tricks you can use to keep your meal savory, safe, and successful. 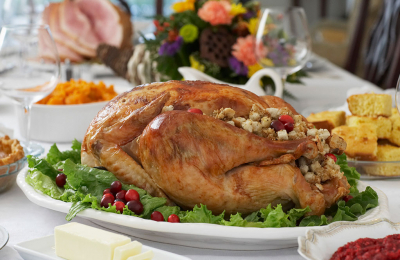 Whether your family is planning a beach trip, picnic, or reunion, food is usually involved. Before you hit the road for your next outing, remember these tips to keep your food fresh while also keeping you and your loved ones healthy and safe. 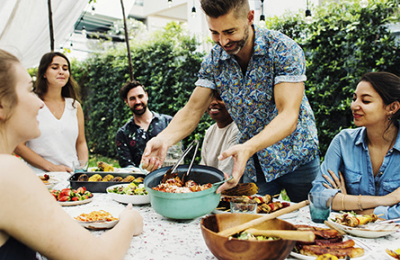 Because foodborne bacteria thrive and multiply more quickly in warmer temperatures, cases of food poisoning can spike during summer. This is likely because bacteria multiply faster in warmer temperatures, and preparing food outdoors makes safe food handling more difficult.